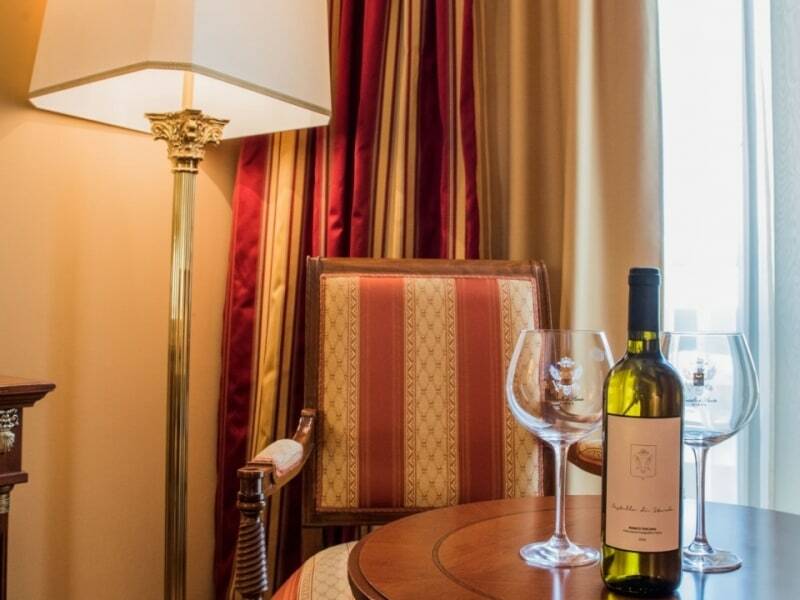 Located on the second floor, the Suite Roma has been luxuriously furnished with Italian textile, soft rugs, and magnificent Italian paintings and antiques in the classical empire colors such as red and gold. It has a work desk with free internet connection, a separate sitting area, spacious closet, a dining area. It has a step-out balcony overlooking the incredible square and the game lights of its fountain.